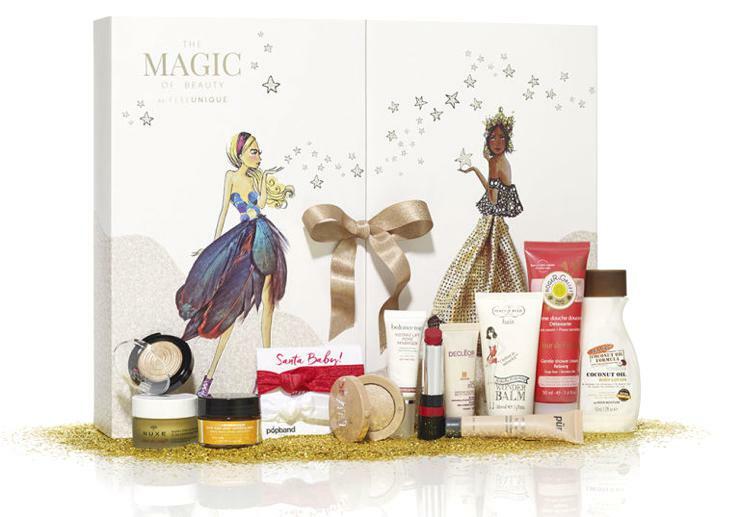 Only a couple more beauty advent calendars left to show you for this season. This one contains a range of 12 products including makeup, and costs just £30. Yes, it ships worldwide. I also have Hallowe'en discount codes for you at the end of this email. Last year, Feelunique brought out a beautiful 12 Days of Beauty Advent Calendar, which I unboxed and reviewed here. This year, Feelunique's advent calendar has been designed by fashion illustrator Meredith Wing (@moomooi). I had shown you an exclusive collection designed by @moomooi here. That the advent calendar is by her makes it more of a keepsake. Warning: Do NOT read further unless you want to see the spoilers/contents. BUY THE 2017 FeelUnique BEAUTY ADVENT CALENDAR HERE. Scroll down for the contents of the Feelunique Magic of Beauty Advent Calendar for 2016. The packaging, as I mentioned before, is very pretty, with the ethereal design by moomooi. They had a ribbon closure last year as well. I think that is an amazing range of products, and a great deal for just £30 - a Laura Geller highlighter and an Ole Henriksen mask alone make this calendar even better than last year's Advent Calendar, for me. There is more makeup this year - five makeup products, five skincare products, and two hair products, is a fabulous balance. Kudos to Feelunique for getting it right. I'm also impressed by the brands they have chosen. There are British drugstore icons such as Bourjois and Rimmel, and also big-shots such as Laura Geller, PUR, and Ole H. Also love that they've chosen French pharmacy brands such as Nuxe and Decleor. And, the sizes are all generous, with five or six full-sized products. I've just placed my order, along with a couple of Bourjois goodies - code FLAUNT gets you 15% off orders of above £50, and code HAUNT gets 20% off orders above £80. Apart from that, UK customers get a gorgeous vanity case (see here for the gift with purchase) JAM-PACKED with more than 16 beauty goodies FREE when they spend £100 or more. 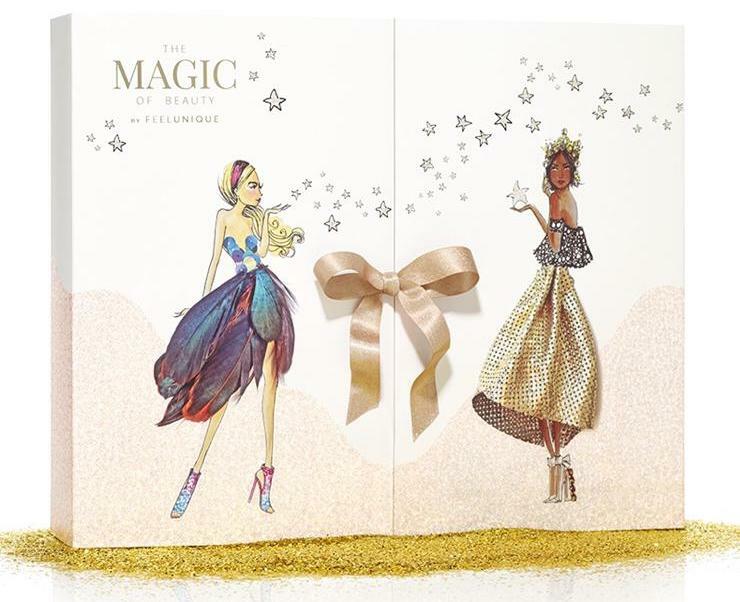 You can order the Feelunique Magic of Beauty Advent Calendar for 2016 here. Since this contains such diverse products, does not cost a bomb, it WILL sell out before this week is out, so I highly recommend hurrying if you want one!